A REVOLUTION IN HOME-BUYING IS HERE! Located right off Hosur Road & filled with features years ahead of their time, ‘Codename Dil Chahta Hai’ is smartly designed and priced just right. 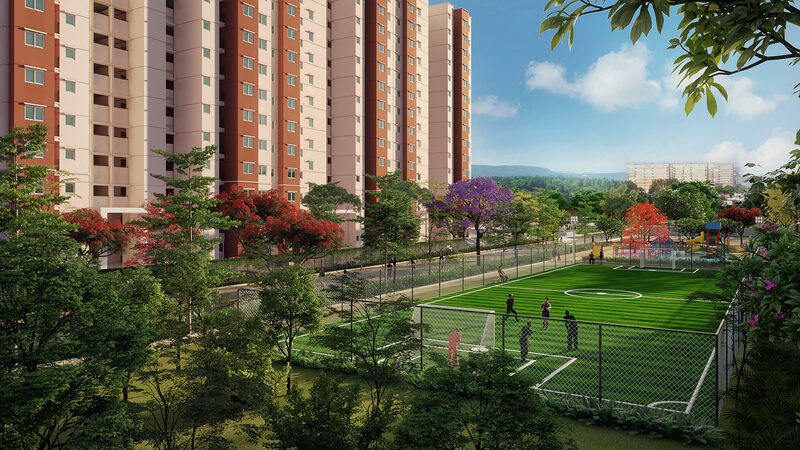 Compact yet surprisingly spacious, our 2BHK homes open to spectacular views and superlative lifestyle amenities, and it can be yours at an unbeatable price tag. Located close to the industrial belt of Attibele – Chandapura & 15 mins from E-City – a treat for those who live and work here. Priced at Rs 22 lakh*, our smart 2BHKs are affordable for everyone. 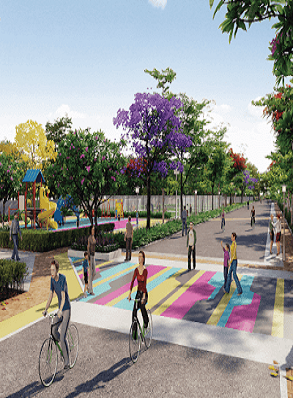 Located off Hosur Road, a stone’s throw from the bustle of Electronic City yet well connected to virtually all of Bengaluru. 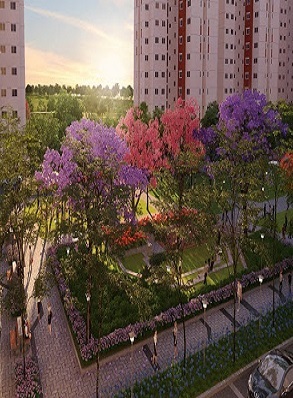 A lifestyle embellished with modern day amenities and smart designs also encouraging a community way of living. 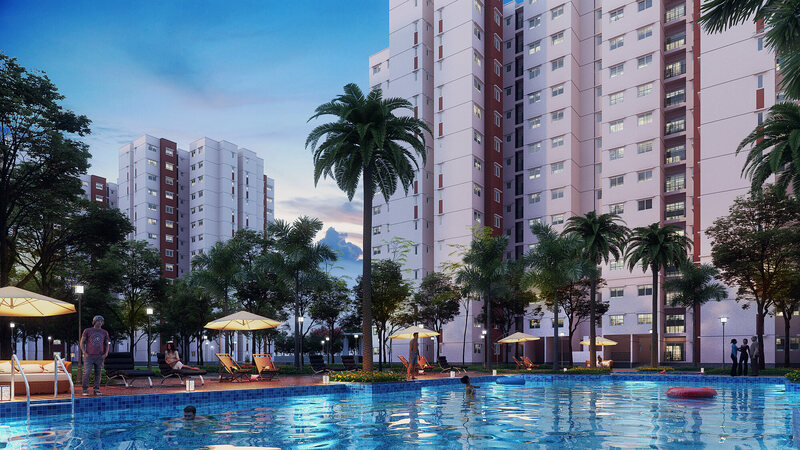 It is indeed a complete package, with affordable living and no compromises on the lifestyle. Codename Dil Chahta Hai also offers an array of social indulgences with lush green gardens, amphitheaters, party areas, barbeque area and kids’ play zones. 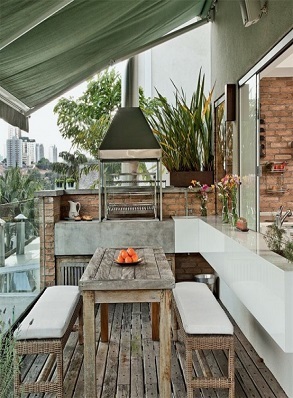 Are you ready to come one step closer to finding your dream home? 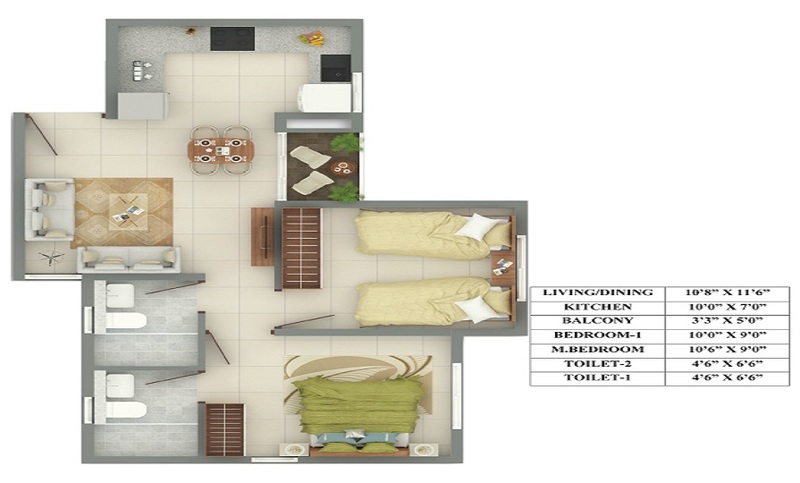 Enquire with us now to begin a life of unsurpassed luxury, comfort and convenience with Shriram Properties. Copyright © 2019, All rights reserved with Shriram Properties Limited. 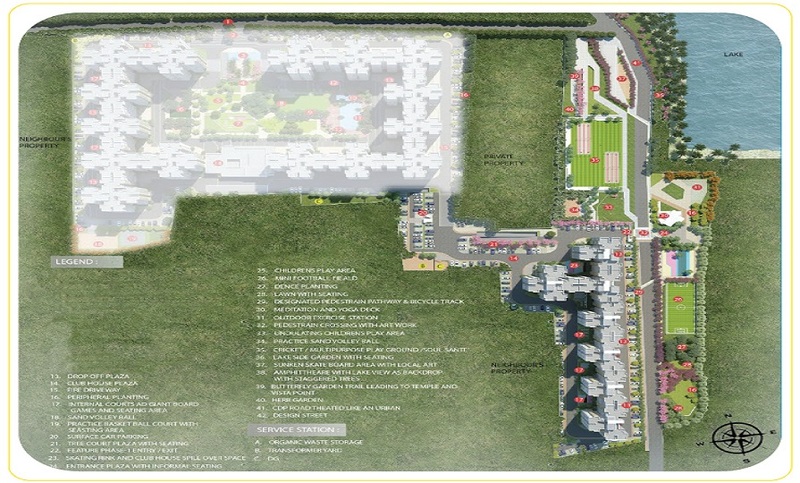 I, hereby authorize Shriram Properties Ltd., to contact me. It will override my registry on the NCPR. The content of this website is for general information purposes only. While enough care is taken by Shriram Properties to ensure that information on the website is up to date, accurate and correct, readers are requested to make their independent inquiry before relying upon the same. 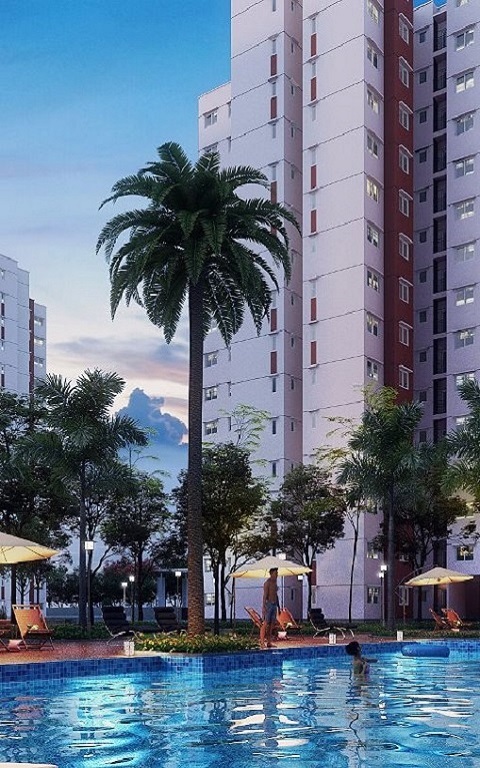 In no event will Shriram Properties offer any warranty on the information made available, or be liable for any loss or damage including without limitation, indirect or consequential loss or damage in connection with, the use of information in this website. By using or accessing the website, you agree with the Disclaimer without any qualification or limitation. 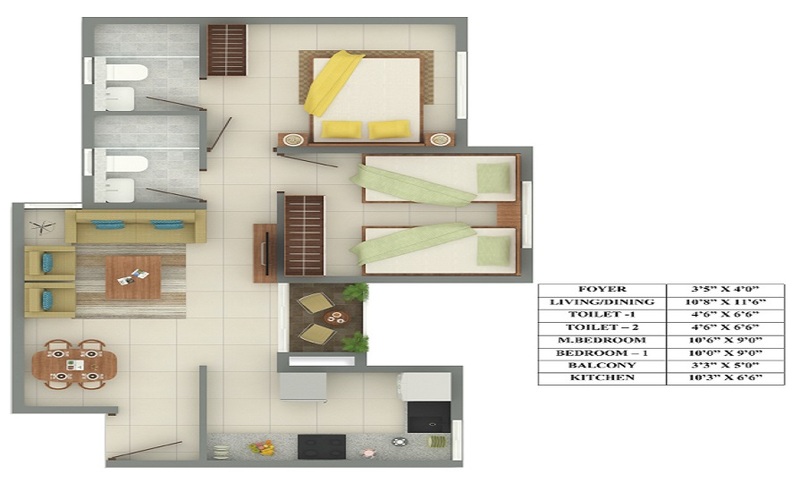 Design, specifications, floor plans, brochures and interactive plans etc., are subject to change without prior notice. Computer generated images, walkthroughs and render images are the artist's impression and are an indicative of the actual designs. The contents of this website are meant to provide information to the readers of this website about ourselves including our various projects. They are only for general information and are subject to change. By no stretch of the imagination, the information on the website shall be construed as an advertisement and/or invitation or offer for sale. To find out more about projects/developments, please drop a mail to info@shriramproperties.com or visit our sales office during working hours and get in touch with authorized Shriram Properties sales representative. Please note that by sharing any of your contact details on the website, you are authorizing the Sales Response team of Shriram Properties (even if you are registered on the DND Registry) to provide information on our projects over Calls, SMS & Emails.